Two teenagers have appeared in court this afternoon accused of kidnapping a toddler from a shop. 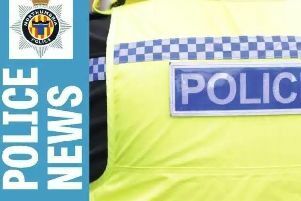 The girls, aged 13 and 14 from Tyneside, are both charged with the offence of kidnap/falsely imprison a person with intent to commit a relevant sexual offence. They were arrested in relation to an incident where a two-and-a-half year old girl went missing from the Newcastle branch of Primark on Wednesday afternoon. She was found in the Gosforth area about two hours later. No pleas were entered in respect of this charge at Mid and South East Northumberland Magistrates’ Court, sitting as a youth court, and two alleged theft offences on the same day – some dummies from a Boots store and a baby bottle and milk from Sainsbury’s outlet. The girls only spoke to confirm their address and date of birth and to say they had understood the proceedings. Lee Poppett, prosecuting, said the Crown Prosecution Service’s position was that they should not be given bail and ‘remanded in youth detention accommodation’. District Judge‎ Roger Elsey decided to withhold bail, but instead remanded them in local authority care at an address approved by the authority. They are also not allowed to enter Newcastle’s ‘parking meter zone’. The next youth court sitting for the girls will take place at North Tyneside Magistrates’ Court on May 13.